We recently executed a Main Switchboard replacement project for a large utilities supplier in the Perth Metro region. 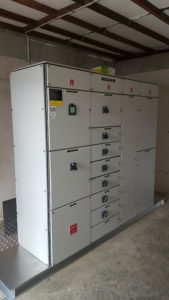 The project involved the manufacture of a temporary switchboard, landing and connecting a temporary 200kVA Genset and executing a changeover from mains electricity to temporary electricity so the tenant could continue to operate during the replacement works. 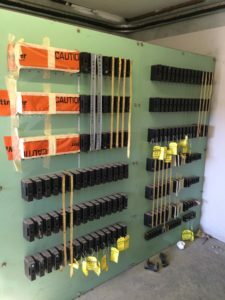 The main works involved demolishing an old “walk in” switchboard and replacing it with a new type tested free standing switchboard and a separate street lighting distribution board before again executing an outage to return to mains electricity and commissioning the new MSB. The project threw up a few curve balls but the ability of the team to think on their feet and work through any issues that arose meant that the project was a success resulting in a happy Tenant and Client. An MDR was also produced collating the ITRs, Marked Up drawings, Installation Photos and Supply Authority documentation. 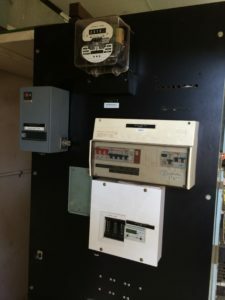 ICM prides itself on producing quality work and communicating with the relevant people involved in a project such as this to ensure that any outages are discussed and planned to minimise any impacts for the Tenant and Clients businesses.